Multi-Tech Systems, a leading provider of M2M (machine-to-machine) communications products and services, promoted Michael Erben to M2M Sales Manager for North America. He draws upon 17 years of engineering and sales experience in high tech industries and two years in account management at Multi-Tech, to lead the team. During his two years at Multi-Tech Systems, Michael has been responsible for Eastern Canada and New England territories, where he has managed large accounts and won a number of new designs. 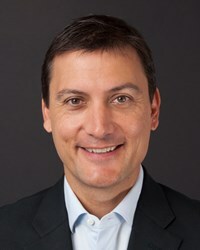 Prior to joining Multi-Tech Systems, Michael has held roles of increasing responsibility in sales and sales leadership with a number of technology firms including Computer Associates.